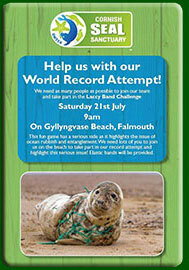 with the "Laccy Band Challenge"
The Cornish Seal Sanctuary team are inviting the public to join them to attempt a world record for the most people doing the "Laccy Band Challenge" at Gyllyngvase Beach. 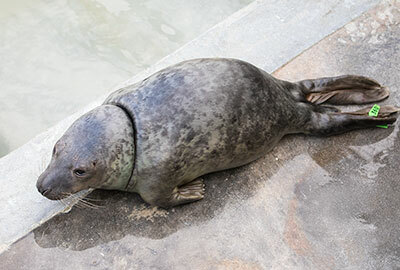 The "Laccy Band Challenge" was created by the Sanctuary to educate people on how it really feels for an animal to be entangled in marine litter. You have one minute to get the elastic band off your hand without using anything else except for your hand. 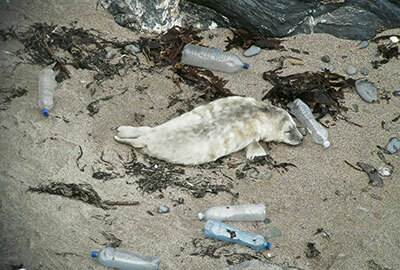 One million seabirds and 100,000 marine animals are killed by marine litter every year. 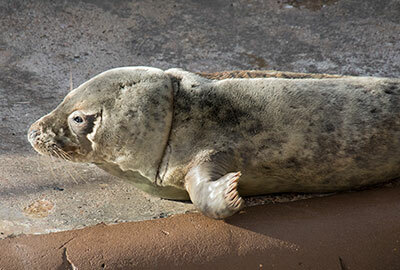 The Sanctuary help to rescue animals which have suffered from litter issues - including seals and seal pups. Just this year, the Sanctuary has had four pups in their care that have been found entangled in litter, with serious wounds. The challenge is good fun; you can play on your own or challenge your friends, but also raises awareness of entanglement and depicts how animals feel when they are trapped in litter. For an animal stuck inside rubbish, it can be extremely frustrating and painful. It can cause serious wounds and ultimately death. The Sanctuary will be giving out the elastic bands for the challenge and requesting that everyone returns them afterwards so they can be reused. There will also be a mini beach clean afterwards to ensure that no trace of rubbish is left behind. 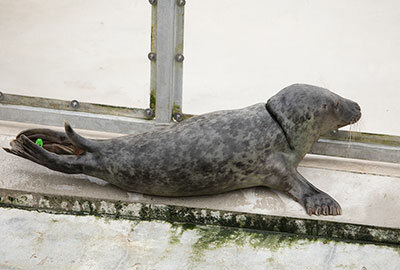 All participants get one free entry into the Cornish Seal Sanctuary. Gylly Beach café takeaway will be open for hot drinks and food from 9am. More information about how to do the challenge here. The Sanctuary would like to invite you to join us for our world record attempt, it will be fantastic for awareness of this serious issue and it will be a great opportunity for photos/video as we hope to have a large number of people joining us to take part in the challenge.